100% EGYPTIAN COTTON 300 THREAD COUNT – Hypoallergenic, incredibly skin touch feeling and gives you a breathing fitted sheet. PREFECT CALIFORNIA KING SIZE – WHITE – 60’’x80’’ with EXTRA 16 inch deep pocket. UPGRADE YOU LIVING SPACE- Experience the best sheet in your living space, kidsroom, guestroom. Upgrade your living space. HEAVY MISSION – Smooth grip system which is sure to fit mattresses up to 16 inch deep. NO fabric balls will be found over this fitted sheet. CLEAN CAUTION – Machine Wash in Cold Water, Do Not Bleach, Tumble Dry Low If Needed, Wash Dark Colors Separately. Egyptian cotton produces longer fibers (up to twice as long as a standard cotton fiber). 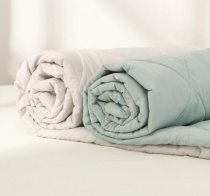 The longer fibers or staples are easily spun into finer count yarns and turned into the softest sheets you will ever sleep on. It will not appear fabric balls over this sheet. Please measure your mattress from the lowest point the highest point including a topper if you have one. If your mattress is 12”-16”, these will fit very well, guaranteed. These are machine washable, but are 100% cotton, so they may wrinkle just a bit. We do recommend washing before using for the first time. I recommend taking them out of the dyer just before they finish drying. Please contact us to obtain authorization for a full refund or exchange if you have any issues with your product. Please request this refund or exchange within 30 days of receiving your order. For all returns within the 30 day return period, we will provide a prepaid return label for a completely free return. 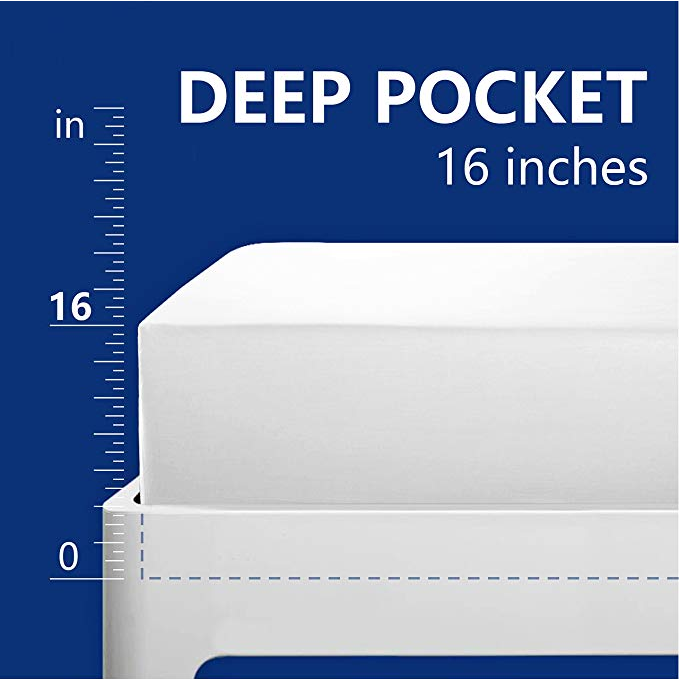 Package includes with this auction 1 Piece Fitted Sheet With 16 inch Deep Pocket. Copyright © 2010-2018 Latestliving Pty Ltd. All Rights Reserved.